If you’re interested in the medical field and love technology, a career as a radiologic technologist might be for you. It’s more than sitting in a room with an x-ray machine and looking at x-rays. It’s a rewarding career with the opportunity for advancement and specialties. The job also pays well. In 2017, the average salary for radiologic technologists was $60,070. Sound good so far? Let’s take a look at what a radiologic technologist does and how you can pursue a career in this field. One of the key roles for an RT is the operation of equipment for digital images of bones, internal organs, and tissues. But you aren’t limited to radiography. As you grow in your career, with additional education, you can learn and become proficient in Computed Tomography (CT), mammography, and MRI technologies. You’re also not just a tech in a room. You’ll be a comfort to patients as you work with them through the radiologic procedures. It takes time and care to ease patient concerns as you work with them to obtain high quality digital images with a minimum of radiation exposure. Radiologic technologists work closely with the radiologist who analyze and interpret images. Your training helps you to provide high quality images to help treat patients and save lives. Being a radiologic technologist requires a mix of skills and knowledge. If you have the skills and the patience for the required education and training, you’ll enjoy a lot of cool things about the job. One of the best parts of being an RT is the combination of technological, medical learning, and personal skills. If you enjoy technology and learning new things, you’ll enjoy a radiologic technologist’s access to the latest medical technology. With the right training, you’ll learn how to understand radiography. Plus the ongoing advancements in medical technology ensure you’ll always have the opportunity to learn more about state of the art technology. You’ll need good computer skills. 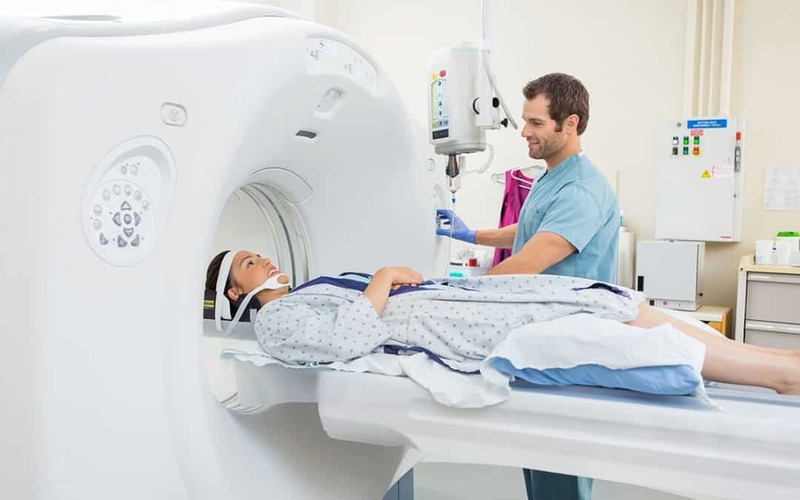 RTs routinely utilize and manage imaging equipment that is technologically advanced. But computers are only part of the job. As an RT, you are not responsible for making a medical diagnosis. However, you will need an advanced understanding of anatomy, physiology, and pathology to competently perform the job. Part of your training includes learning a lot about how the body works. These skills help you understand how to take appropriate images depending on a physician’s request. Understanding the body also helps you to obtain the images necessary to help doctor’s treat patient conditions. You’ll need a passion for your work and patients. It can be a frightening experience for a patient to go through digital imaging. A patient most likely needs an x-ray or CT scan to diagnose a health issue. Your gentle, empathetic demeanor helps them stay calm through a stressful experience. You’ll also need excellent communication and organizational skills. An RT’s job involves a lot of details. It also involves thorough documentation of procedures and analysis. Patients and physicians have better experiences with RTs who are passionate, detailed, and confident in what they do. In addition to the salary, there are many perks to a career as a radiologic technologist. It’s one of the most in-demand medical careers available today. It’s also a stable career. Most RTs work in hospitals or clinics. There will always be a need for digital images in the medical field. It’s also one of the quickest ways to get into the medical field. An RT career doesn’t require years of post-graduate education. And in the process, you also won’t rack up large student loans during years of school. Radiologic technologists also have the opportunity to move up into supervisory roles and specialties or, radiology education, or, hospital administration with additional, appropriate education. These opportunities allow additional income and exposure to new technologies. How is it Different Than a Technician? Despite similar job names, there are differences between a radiology technician and a technologist. Becoming a radiology technician doesn’t require the levels of training and education needed as a radiologic technologist. Most often, a technician receives a certification through a Limited Training Program. As a technician, you’re limited in what you can do within the field of radiology. Some additional on the job training is available for technicians. But there’s little room for advancement into specialties or more responsibilities. A technician’s job is important and requires skilled professionals. But as a radiologic technologist, you’ll have deeper levels of education that give you more opportunity in the medical field. If a career as a radiologic technologist seems like a good fit for you, your training is critical. Choose a college degree program that prepares you for certification programs after graduation. You can complete some programs within 24 months. With your degree in hand, it’s time to prepare for your registry exam. Passing this exam is a requirement for your certification as a radiologic technologist. Once you pass the exam and receive your certification, take your pick of the many available radiologic technologist jobs across the country. Choosing a career as a radiologic technologist gives you the opportunity for a stable career in a challenging environment. The journey to your first RT job begins with your degree and certification. When you’re ready to take your exams, be sure you prepare. It’s not an easy test. But if you understand what to expect and know your stuff, there’s no need to worry about passing. The Tuffest Stuff is here to help you get ready for the Computed Tomograhy registry exam. We know you’re anxious to begin your new RT career. With good preparation, you’ll avoid taking the exam more than one time to get your certification. Contact us with questions about our CT Registry Review program.